By Pat Scanlon, PRS Associates, Inc.
Two decades ago, the Themed Entertainment Association, as a new organization, was looking for a way to honor its members’ achievements. 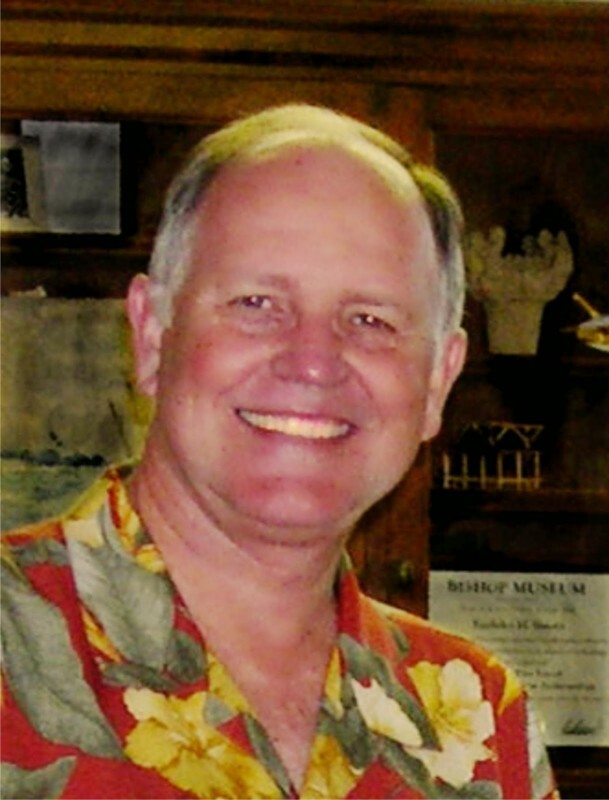 Pat Scanlon was part of the team that devised what became known as the Thea Awards, and he was part of the creative team for the Polynesian Cultural Center (PCC) which received a Thea Award for Outstanding Achievement at the annual awards gala earlier this year. When we started, TEA was in its infancy. Bob Rogers, Barry Howard, and I were on the first Thea Awards committee. We started by creating a single award, for Lifetime Achievement – Buzz Price was the first recipient. We didn’t know if anybody would show for the evening. In the last few days before the ceremony, people started buying tickets and it ended up a nice event. The next year, we did the same thing, with Marty Sklar receiving the Lifetime Achievement Award. I was Chair of the committee that second year. We expanded, adding awards for outstanding achievement – honoring excellence in conceiving and building attractions. There are also awards for breakthrough technology. Eventually, we started filling the room with awardees. We were bestowing achievements of excellence in the craft of our business. But instead of awarding the people who worked on the projects directly, we honored the projects’ owners. In order to receive an award, the owner needed to send a senior representative. And they were also required to give a list of the credits of those who took part in the design and construction of the project. When the credits come this way, it is the Thea Award recipient – the project owner – who is saying that these are the companies and individuals that did the work for us. They’re the ones honoring them. And anybody on that credit list could then get a team member award. Over time, these awards have taken hold internationally, and that’s really satisfying. The Thea Awards have really become the main event for the TEA and the one where there is a lot of significance that has been accorded to these awards. It’s had the right effect and impact on recipients. 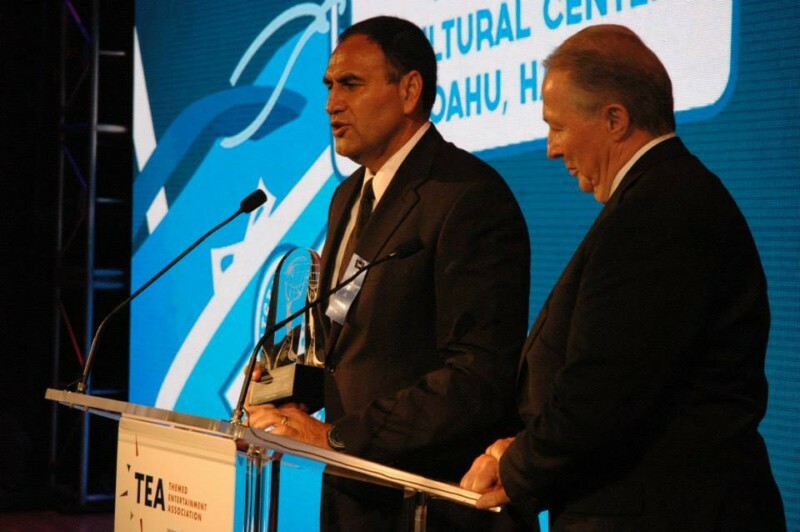 To have the Polynesian Cultural Center receive an award on the 20th anniversary of the Thea Awards is indeed an honor. First opened in 1963 on the island of Oahu, the Polynesian Cultural Center is a project of the Church of Jesus Christ of Latter Day Saints. Its mission is to preserve and display the indigenous cultures of Polynesia while supporting the students of Bringham Young University – Hawai’i, who make up the majority of the Center’s employees. After fifty years of operation, it was time to update some of its major facilities. Joining Mike Lee of Michael Lee Design as Chief Designer and Art Director was Scanlon, who took on the role of Project Producer. The two components of their project were “The Gateway,” a dining facility, and “Hawaiian Journey,” a dynamic redesign of a former IMAX theater. The Gateway was built in the 1970s. It was the original orientation center for the PCC. Later, it was turned into a buffet restaurant to provide an alternative to the luaus. Asian visitors, especially Japanese, wanted more of a regular dinner services. This happened probably in the 1980s. The building was tired and in need of renovation. The PCC is on the Northeast portion of the island, the windward side. This resulted in a daily assault of wind coming off the ocean that caused wear and tear over the years. The building had been scheduled for renovation – it had already been approved. We were already working on other master planning and attraction recommendations when we were asked by PCC to step in and lend a hand on Gateway. They gave us an extra budget and we re-imagined what the place was. Rather than being a general, all-purpose building with food service capabilities, we re-imagined it as a grand Hawai’ian hall from an early period that would have been built with local implements but would still look royal. We wrapped the beams in the facility in large koa wood columns made of fiberglass reinforced plastic (FRP). We created a a royal Hawai’ian gathering place. All major gatherings in the culture are based around food. Hawai’ian royalty would invite guests for feasts and brotherhood. We added all new lighting, giving it the flavor of Polynesian/Hawai’ian cultural art, including giant clamshell sconces with their lights on flicker circuits. The biggest element is the 500 foot long mural between 10 to 20 feet high that encircles the entire facility on the inside. It was created digitally and then blown up to a large size and printed. We applied fabric material and illuminated with LED lighting, which gave us great control over color temperatures. The mural depicts a Hawai’ian king and his court. You can see tropical lushness in the background of the mural with traditional food items. The royal court is laying out a sumptuous feast for guests. On the far left and right of the mural, other Polynesian royalty are arriving – this links the mural the Gateway to the rest of PCC. Finally, on the long wall above the entrance way, there is a depiction of the rest of of the people from around the world arriving for the royal feast. Some are tourists, some are historical individuals that have visited PCC. “Oahu” means ‘gathering place.” We have created a robust and beautiful place. It can also can be used for special gatherings. There’s an audio system with special sound zones. We can also create an alternate atmosphere through the LED lighting scheme. We had a feeling that the the theater should have the appearance of an ancient volcano, because all the Hawaiian islands are volcanic. People walk into the theater through a tunnel fabricated as an ancient lava tube. We added an exterior steel frame to hold rock work. A lot of floral material was planted on the rock work, fed with drip irrigation. In the auditorium, volcanic vents exhale steam – like the volcano is breathing, rather than erupting. We reconfigured the traffic flow through the building to make it work. As you’re going through, you hear gurgling sounds of water in tubes. There’s floor level lighting with black lighting on the walls to create an impression of depth. The curtain is completely black. There are sounds when you’re entering the theater of waves and wind in the distance, beating native drums, chickens, and dogs. Using black light tends to take the geometry out of the equation. When the presentation starts and the curtain parts, you see a darkened scene in center. I’m very grateful were were able to get Craig Hosking, our helicopter pilot and Reed Smoot, our cinematographer on the film. Unlike what was in the theater before, we’re introducing physical effects as accent moments for the experience. Once you leave the cave scene with the kapuna telling the story, the film now continues through eyes of young ancient Hawaiian exploring his islands. He speaks English for the sake of the audience who are just learning who he is. The next scene has volcanic eruptions. Rotary subwoofer speakers can go down to 2 hertz for this scene. There is some signalling from an earthquake running through. You can feel the rumbling of the eruption. There are transducers in the seats, which reinforces another level of vibration. Another shot in the film is through an erupting blowhole on Maui. We use water misters for this scene. On screen, the camera shoots over stream, then the camera tips down to look below. While this is happening, the seats dip forward. I would not characterize this as a special effects show. It has a nice pace with a great story and gorgeous photography. This is not about modern Hawai’i. You see no roads or urbanization on screen. There are eight narration tracks, one in Hawai’ian. Headsets can give alternate languages or full dialog can be switched in the theatrical system. The theater has 463 seats. 252 seats are special effects seats by Technifex, all in the sweet spot. The four rows of seats in the front are traditional. Flanking the special effects seats left and right are all static seats. The theater can also go into “B mode” to accommodate other content. There’s a stage 80 ft long where the old IMAX pit used to be. We raised the bottom of the screen 12 feet and removed the glass railing that protected people from falling into the pit. PCC wanted the ability to program concerts and presentations. The angle of the projection cone flies over 6 ft above the person at the podium, so there are no screen shadows. Stage lighting is incorporated into design. A catwalk was integrated into the theater for that purpose. There’s also a lighting bar above stage. The film was shot at 30 frames per second in VistaVision. We play back digitally at 4K. This required different handling than with a 2K projector. The principal engineer from Christie came out because we were not getting enough light output. He worked with the fact that we have a 40-ft x 74-ft screen, a 75-ft throw from the booth, and a 1:1 lens. This is not anamorphic. Once the projector light levels were stabilized by Christie, we worked with Rick Gordon of RPG Productions to adjust the proper light levels for the film. We considered 3D, but the nature of the movie wasn’t going to give us a 3D opportunity. Most of the shots we mastered were long shots. We didn’t have anything to pop off screen without looking artificial. I didn’t see how it would help our film. The color and line work were powerful. Also, being flat, only one projector was needed. When you’re in the middle of the Pacific like PCC, with limited access to resources, you really need to keep your technical systems as simple and easy as possible. We brought in a guy from MIS (Management Information Services) to be in charge of the theater. Most people working at the facility are BYU students, which doesn’t give enough time for them to learn technical skills. We were guided on this project by one simple philosophy: Whatever you do, do it real well, but don’t reach for something that’s better if you’re not able to execute and make it better. TEA will be announcing the new slate of Thea Award recipients from the TEA booth on the first day of the IAAPA Attractions Expo in Orlando, November 18. READ about Electrosonic’s role helping a Hawai’ian volcano come to life at the PCC.